Join freelance writer and photographer Sue Frause for an afternoon of travel talk. Sue has traveled to 47 countries on seven continents, from Antarctica to Zambia. Through words and images she'll share a year of travel, featuring month-by-month destinations near and far. The dozen getaways include some of Sue's favorite places on the planet, from Washington's majestic Olympic Peninsula to Churchill, Manitoba--the Polar Bear Capital of the World. Discover exotic places to add to your travel bucket list and easy getaways in our back yard. All you need to bring is a spirit of adventure as you armchair travel around the world. Sue Frause at the Oslo Opera House in Norway. 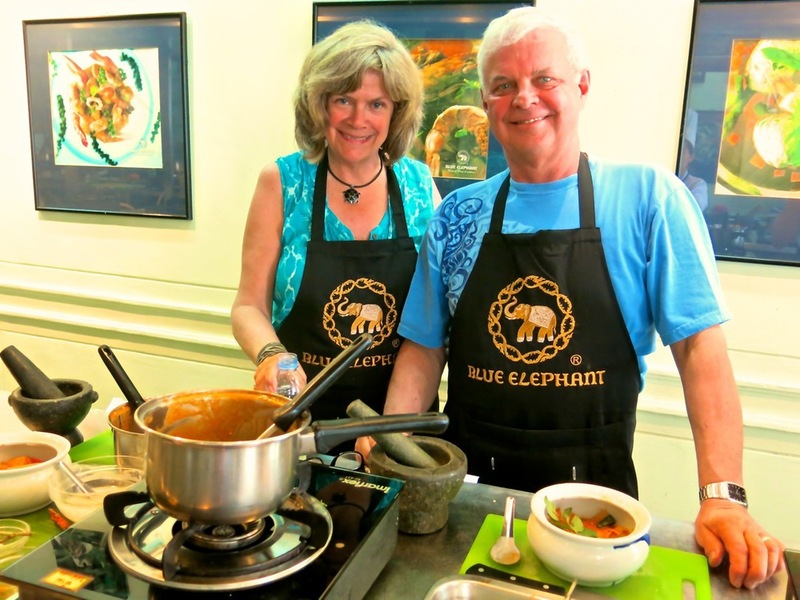 Sue and Bob Frause at Blue Elephant Cooking School in Bangkok, Thailand. Sue Frause on a travel assignment in Vancouver, BC. A Year of Travel: 12 Trips for 2015 includes refreshments and snack.